If a recently uncovered patent comes to life, future iPhone users wouldn't have to worry about out-of-focus shots. 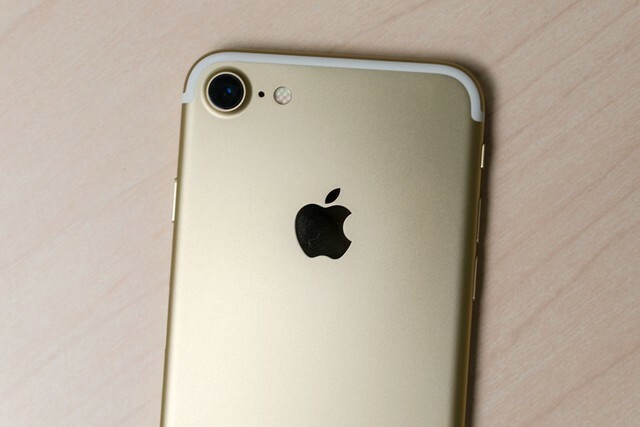 Future iPhones could allow you to adjust the focus after you shoot a photograph. A recently uncovered Apple patent details a method for generating focus stacks to make that possible. The patent was filed in 2015 but only published in December. A camera’s lens focuses based on distance. As the glass pieces inside a lens move, objects at different distances from the camera come into focus. Traditionally, the out-of-focus areas cannot be edited into a sharp image because the information simply isn’t there. But, if a camera could capture all that information, adjusting the focus after the shot would be possible. Panasonic does this with a 4K photo mode, taking a short video clip while adjusting the focus so that the file has all the focus data. Those video files can then be sorted as stills to select which one is the sharpest. Merging those files together can also create a sharper image overall. The Apple patent details a process for calculating what positions the lens needs to be in to capture all that focus data. After the lens is positioned in the first location, the software would calculate the “target depths” that would be required to capture all the objects in the photograph in focus. Using that calculation, the lens would move, capture another photo at that focal point, then continue until the focus data was completely captured. The idea of post focus isn’t entirely new — after all, Panasonic already has it on the market — but the Apple patent seems to detail a process for speeding up that capture process. Panasonic’s Post Focus mode takes a few seconds to capture. Theoretically, a computer algorithm could speed that process up by identifying the lens positions necessary to make it happen, instead of going through all of the lens positions. The patent also mentions depth mapping, which would use all the data from the algorithm to determine how far the objects in the photo are. That depth map could help enhance the background blur already in use on the iPhone 7 Plus portrait mode. The potential new focus feature would require new hardware and software. But the existence of a patent doesn’t prove that the feature is on its way anytime soon.